Here is the easiest apple filled pastry you will ever make! Starting with a refrigerated dough, perfect filling and cinnamon sugar topping! This will delight your family and friends and you will be asked frequently for the recipe. Terrific for parties and casual gatherings. 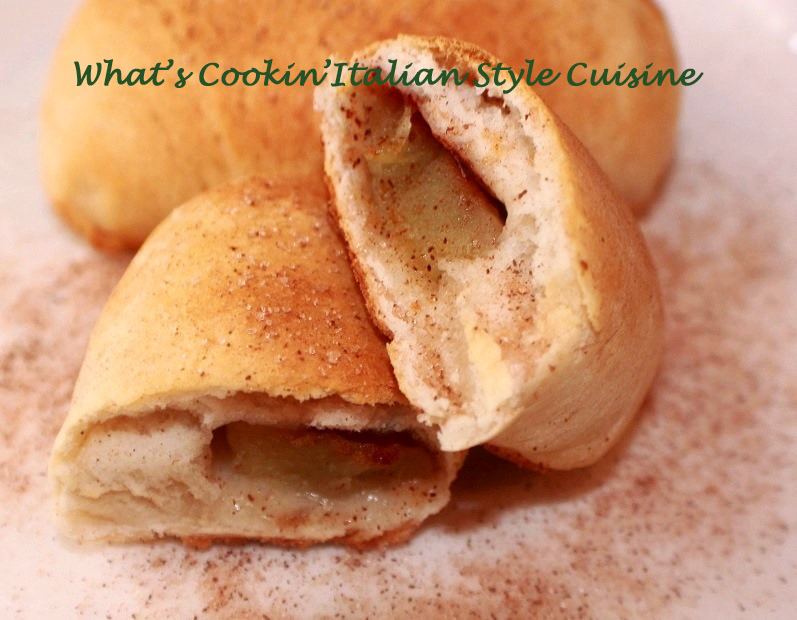 Apples wrapped in dough the perfect comfort food! These are also great for kids lunches and tea time. Take out the refrigerated biscuits from the tubes. Flatten to be around 1/4 inch thick. Add apples slices to fit, brush with butter, add some cinnamon sugar mixture. Roll to fold over. Place seam down on parchment paper lined cookie sheet. Brush tops with melted butter and sprinkle with more cinnamon sugar mixture. Bake on a 350 degree hot preheated oven until the tops are browned. For a sweeter treat, heat some caramel ice cream topping dip these in the caramel!